Zika virus was discovered in the 1940s from the monkeys inhabiting the Zika forest in Uganda. It has been a long-standing virus but seemed to have lost in time as the outbreaks caused by the virus were sporadic and tiny since several decades. A massive outbreak of Zika virus in Brazil affecting almost 1 million people in 2015 has brought our attention to this mosquito- borne virus all over again. Zika virus is known to be transmitted by daytime active Aedes mosquitoes. The global distribution of the carrier mosquito makes it a global health concern. 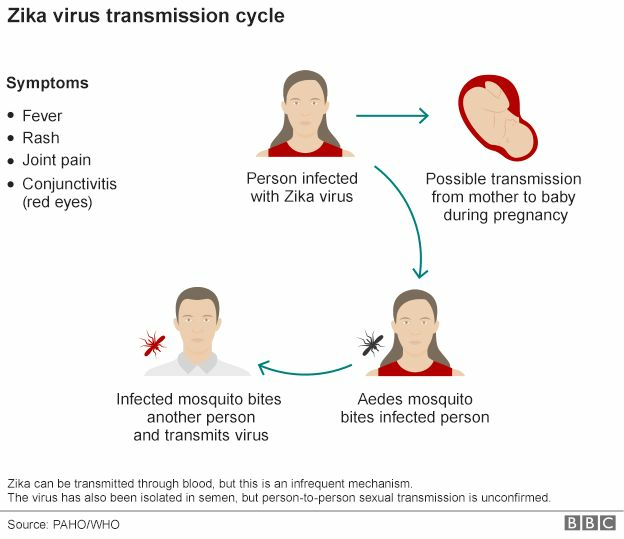 Zika virus is also reported to be passed through sexual contact and it can cross the placenta affecting unborn fetus as well. Most common symptoms of the Zika virus infection include skin rashes, chilly fever, diarrhea, vomiting and joint pains. The symptoms reported are highly relatable to that of other mosquito-borne disease such as Dengue, Japanese encephalitis and Chikungunya. It is also being learned by various scientists that Zika virus has the potential to damage fetal brains and can cause life-long, incurable set of cognitive problems. In the light of these evidences, WHO has declared a global health emergency on February 1,2016. Zika virus infection can be diagnosed by a simple blood test but most of the cases remain undetected. Only 1 out of 5 people infected with Zika virus develop serious illnesses. Currently, there are no vaccines available for the infection caused by Zika virus and the infection is being treated with acetaminophen to relieve fever and pain. A Hyderabad based Indian Drug Company Bharat Biotech Pvt ltd. claims to have developed a vaccine against Zika virus and is believed to be out after further tests and analyses. Target the carrier Aedes mosquitoes and prevent their breeding by repeated fumigations. Keep your surroundings clean and avoid formation of stagnant water bodies in and around your communities. Encourage the use of mosquito nets, insect repellants and good sanitation can prevent mosquito entry into the house. People associated with global trade and travels to Zika outbreak areas/ countries should constantly monitor themselves for any symptoms to avoid further transmission. Pregnant women residing in the affected area should undergo fetal tests (amniocentesis) and ultrasounds at regular intervals. Surveillance programs and survey of hospital based data gathering systems in communities throughout the world can help generate primary level interventions for Zika outbreaks and can reduce this public health emergency of international concern. Hey hi … Very useful information.